If you work out strenuously, sweat profusely, and shower rarely, you will wind up having body odor. Similarly, if your mouth is constantly working, which it is, and bacteria is allowed to grow because you aren’t taking necessary steps to keep your mouth clean and healthy or you engage in behavior that encourages bacteria to grow, you will wind up with bad breath, also called halitosis. Bad breath can be caused by a number of factors, germs and bacteria being first among them. Germs from food particles and the surrounding environment will grow in your mouth and metabolize unless eliminated. Germs attach themselves to the teeth and gums and develop on your tongue, where they produce what are called volatile sulphur compounds (VSC). VSCs cause a release of gas that can be a major contributor to foul-smelling breath. Fortunately, there are easy steps you can take to keep your breath fresh and minimize the development of halitosis-causing bacteria. Here are five simple ways you can get rid of bad breath. Brushing and flossing. You know you should be doing this every day anyway to maintain healthy teeth and gums, but brushing and flossing can also be the best way to get rid of the food particles that evolve into the bacteria that cause bad breath. Tongue scraping. Our tongues are breeding grounds for bacteria and voracious collectors of food debris, dead cells, and toxins. These are the same substances that produce VSCs on your teeth and gums. Tongue scraping can help eliminate halitosis by reducing the VSCs on the tongue that lead to bad breath. Don’t smoke. Smoking causes lung cancer, heart disease, and a wide array of health problems, including tooth decay and gum disease. It also makes your breath stink. The chemicals in tobacco cause offensive smelling compounds to develop in saliva. Tobacco can also reduce saliva production. Saliva helps keep your mouth clean by removing food particles that can cause bad breath. If your mouth is not producing enough saliva (a condition called xerostomia, commonly known as dry mouth), then it can’t do its job effectively. Rinse mouth often. 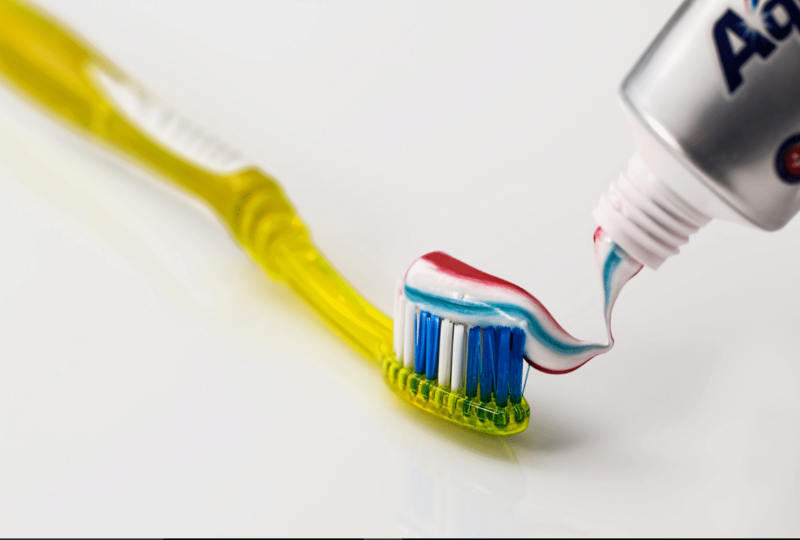 As noted, washing away bacteria-causing food particles is a key to oral health and the prevention of bad breath. Supplement the job your saliva is trying to do by rinsing your mouth out frequently with water or an alcohol-free mouthwash. See your dentist regularly. Even with meticulous oral hygiene practices, bacteria can still develop in our mouths and cause problems such as bad breath. Regular visits to your dentist for cleaning can have a more thorough and longer-lasting effect on your oral health and help keep your breath fresh.